Have you felt tired, or had pain in your ears, after listening to loud noise for extended periods of time? You may be suffering from listening fatigue. Hearing loss is more than difficulty understanding speech and hearing sound. It also makes you extremely tired; listening takes a lot of effort and energy. People with normal hearing don’t really think about the fact that listening can be fatiguing and frustrating. The Better Hearing Institute estimates that societal costs of untreated hearing loss result in $56 billion wasted per year in North America and 92 billion euros in Europe. This high cost was said to mainly be due to lost productivity at work, much of which is due to fatigue caused by coping with hearing loss. A survey by the Danish Institute for Social Research found that as many as one in five people suffering from hearing loss give up on the job market, and for those who do work, almost 15 percent are so fatigued by the end of the day they have no energy left for leisurely pursuits. Ian Noon, Head of Policy and Research at the National Deaf Children’s Society in the United Kingdom, paints an accurate picture of what listening fatigue is like in his blog: concentration fatigue. "It’s about the energy involved in lip-reading and being attentive all day long. Processing and constructing meaning out of half-heard words and sentences. Making guesses and figuring out context. And then thinking of something intelligent to say in response to an invariably random question. It’s like doing jigsaws, Sudoku and Scrabble all at the same time." Click here for some tips to combat listening fatigue! 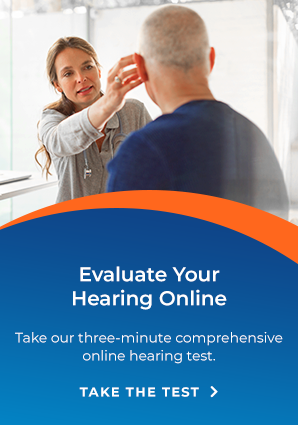 Contact any of our locations in Kitchener, Guelph, Simcoe, and Mount Forest to talk to our professionals about listening fatigue and how to protect your hearing.